I was someone tweeting about it and I thought, 'it is just going to be another fashion web-retail that sells in all other currency other than Malaysian Ringgit. 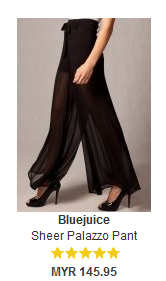 Then Groupon was having a 50% voucher on it, out of curiosity, I clicked. I was ecstatic-aly browsing through those wonderful images of clothes, shoes and jewellery. 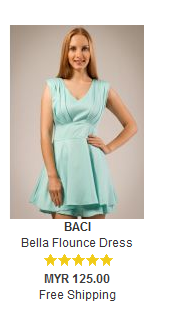 Though, I sigh out of sadness as the pricing is pricey. The website will work for those with disposable amount of money, otherwise, for people like me, we could only afford them as a treat for working hard and long hours. Even though I could not afford, I will have to say that they have a good range of products and brands. Especially brands, definitely a shopping heaven for shopaholics and people who loves branded goods. 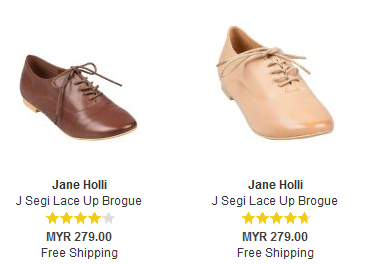 Talking about shipping, I realise that they have free shipping. Hallelujah! Amen! No more entra RM9 for Pos Laju. Also, they have a 30 days return policy, so if it doesn't fits you, change it! Good lar, be more abit like angmoh country. 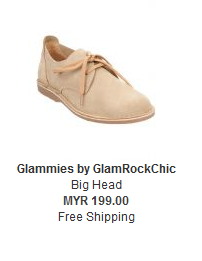 I would say browsing in ZALORA is convinient, no hidden areas. You can be very specific in what you want, in terms of colour, brand and etc. Then, when you scroll over the pictures you like, they will show you the back, side and close up of the outfit. People like me, we tend to always scroll the mouse towards the sale% link. xD Though, I didn't see anything I like from there. 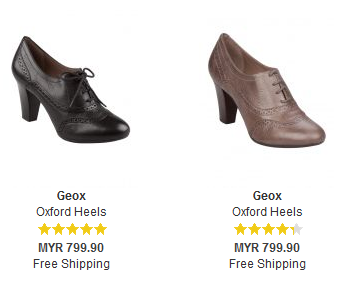 I definitely love these Oxford Heels the most. 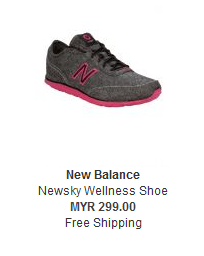 Heart popped out after staring at the price. The groupon deal. Rm80 is fair but I can't combine my vouchers to buy one very expensive stuff. So yup, nice place to stop by and browse if you are bored but definitely can't afford on a weekly basis. 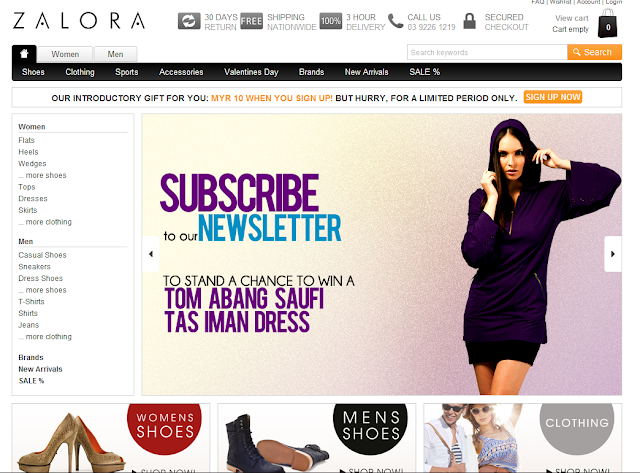 I believe the existence of ZALORA will attract the eyes of Fashion Police and Magazines for purchasing guidance to the community. Also, the existence of ZALORA will do some harm to many blogshop owners out there. Xue ren, Yeah rm 80 worth it but I want those things are so ex! haha. Yu p Im studying at TU Mass comm. Well what do you want to know? email? szhen, Thanks for dropping by and yeah, at the moment, for a branded online shopping portal, the price is okay.